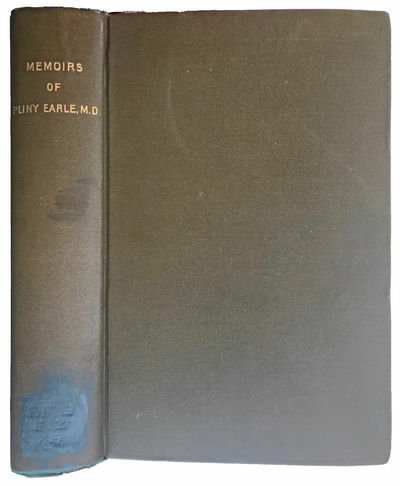 Memoirs of Pliny Earle, M.D. ; Extracts from His Diary and Letters (1830-1892) and Selections from His Professional Writings (1839-1891). by [Earle, Pliny (1809-1892)] SANBORN, Franklin Benjamin (1831-1917).